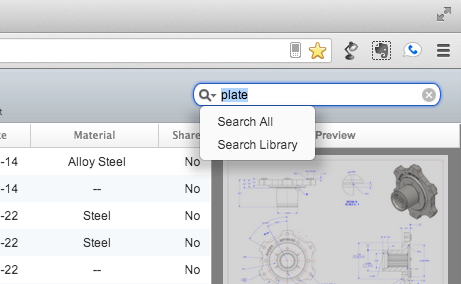 Flatter Files now automatically searches all items in your library when you perform a search. Previously, a search query entered at the top right only searched the library that was currently being viewed. Now the search will return results from all of your libraries including the Assembly library. These results are shown in a new library that appears that is simply called "Library." The results for a simple search is shown below. As you can see, the results are grouped based on the library they are located in. The results that are displayed can be fully accessed and edited in the same mannar as if you were viewing in the actual items library. 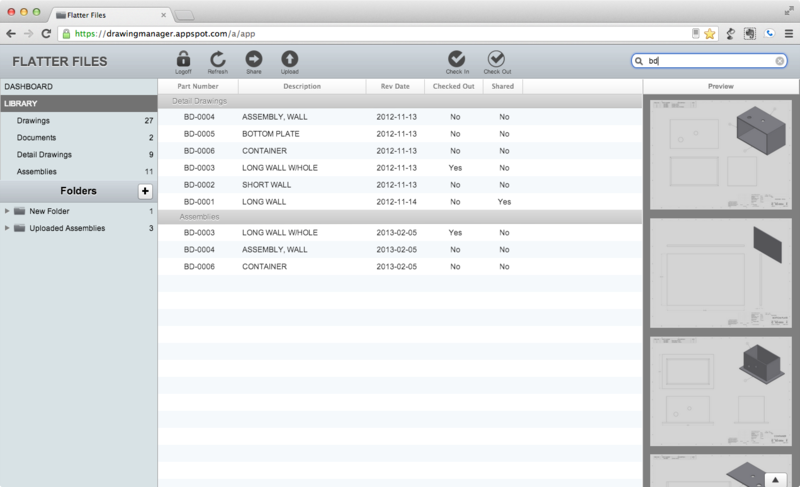 For example, you can right click on an item and the same menu is displayed allowing you to perform various functions. Performing a search of all items is the default when entering a query and pressing enter but it is still possible to search only a specific library. To search a specific library, navigate to the appropriate library that you would like to search. Enter your query and then click the magnifying glass that is located with the search field. This will open a menu as shown below. Click "Search Library" and the search will only return results located in this particular library. The search results will be returned in the actual library that the search was performed. To cancel the search such that all items are displayed again simply click the "x" button.